Our integrity is the most important thing to us. InterNACHI is so certain of our integrity and abilities, that they are backing us up with their $10,000 Honor Guarantee. They will pay for the cost of replacement of lost or stolen personal property that isn’t recovered, up to $10,000. 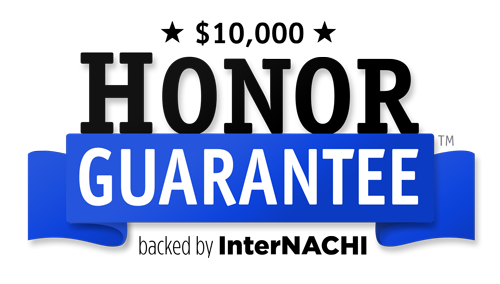 For more information on InterNACHI’s $10,000 HONOR GUARANTEE™, visit InterNACHI’s website.